Fill a highball glass with cracked ice, add the ingredients one by one, and do not stir. Garnish with slice of lemon + cocktail cherry. 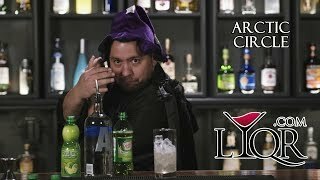 How to Make an Arctic Circle with with Bacus, the Wizard of Booze!